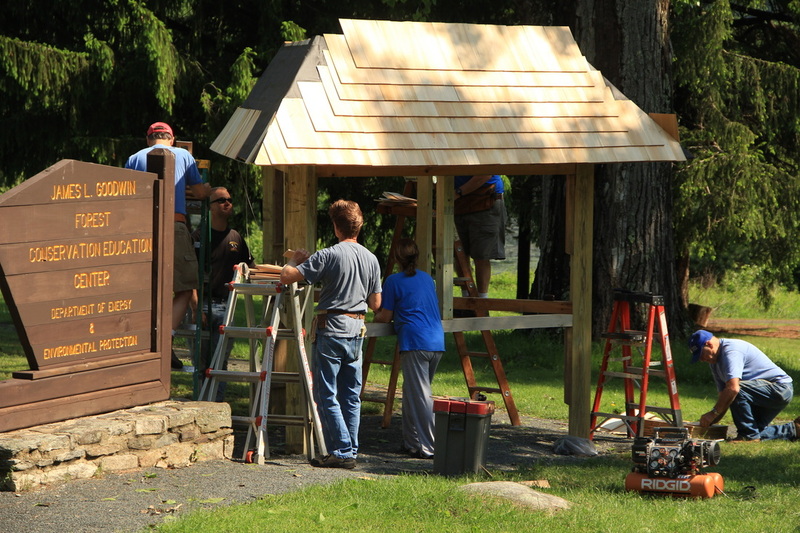 IMPORTANT INFORMATION FROM THE NATIONAL PARK SERVICE REGARDING "WIDOWMAKERS"
A new trailhead was constructed in the summer of 2013. 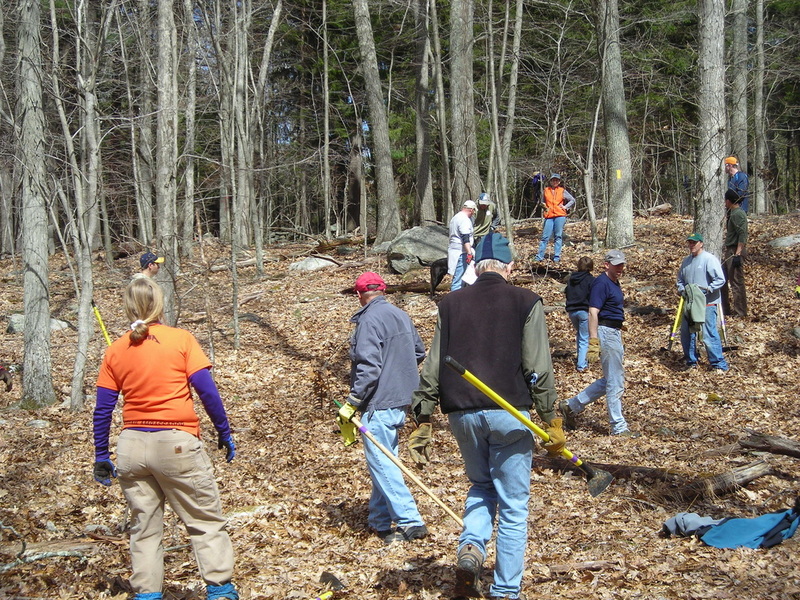 Our trails system (over 14 miles) is maintained by a great group of volunteers who spend countless hours grooming, blazing and developing multi-use trails. 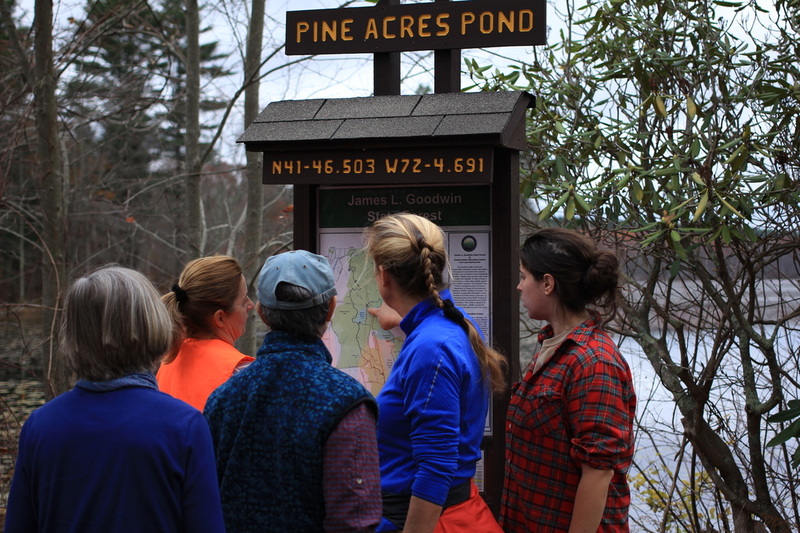 The Blue-Blazed Natchaug Trail: begins at the Conservation Center and stretches north to connect with the Blue-Blazed Nipmuck Trail. Hikers will find a small wildlife viewing shed that looks out onto Pine Acres Pond. Pine Acres Pond: 135 acre shallow pond with stumps and logs protruding in many places. 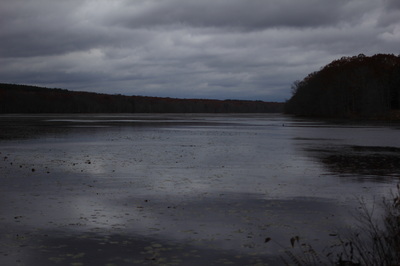 The pond is ideal for a challenging canoeing excursion. Fishing for Bass, Bluegill and Bullhead is popular. Electric motors are permitted; gasoline, are prohibited. 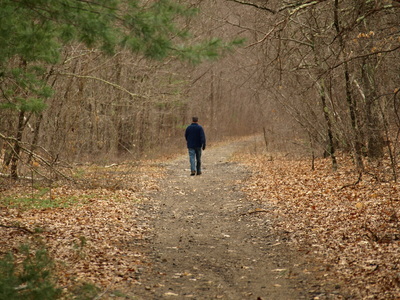 The Air Line State Park Trail:begins a few hundred feet north of the Center. 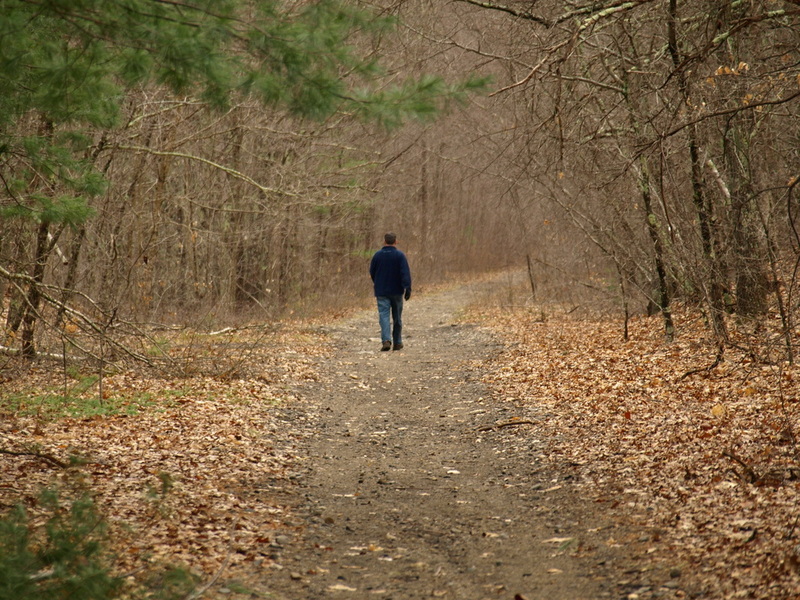 A former railroad bed, the trail is graveled and level which makes it ideal for hiking, cross-country skiing, biking and horseback riding. 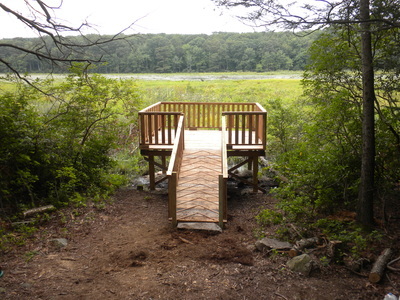 If you're feeling adventurous, you can hike 8 miles north to the Northeast Connecticut Audubon Center in Pomfret! 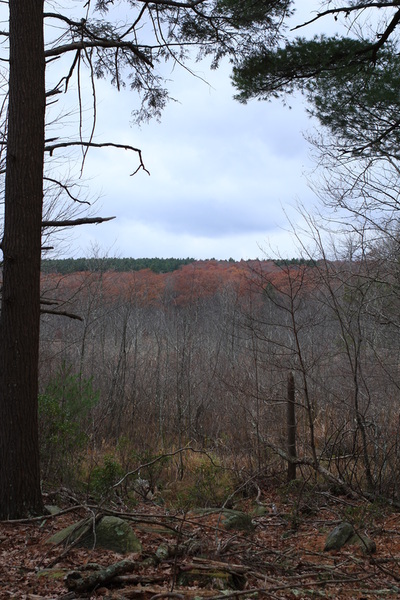 Airline Trail to Goodwin Conservation Center: Enter west of Potter Road (at Kiosk) and head east toward the blue-red trail. 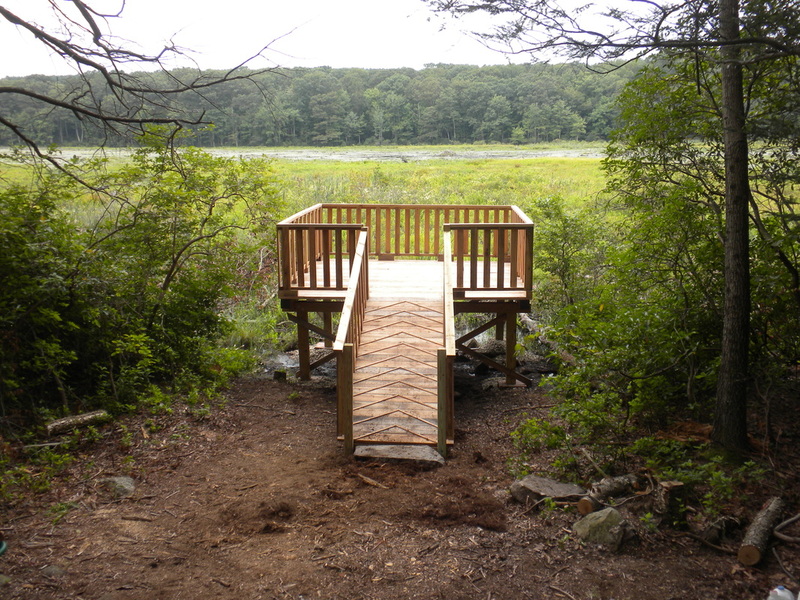 The boardwalk will take you through wetlands before connecting to the Forest Discovery Trail that leads you to the Goodwin Center.